Our rule of thumb in planting is to choose native plants and flowers except for the gardens immediately around the main house where we want a splash of colour and we can control the growth and spread of any non-natives. We do not plant any of the declared weeds for this region but it is difficult to be purist as we would need to remove vast amounts that have been planted by earlier owners or have been spread by wind or animals. It is also difficult because local nurseries still sell declared weeds (e.g. Geisha Girl, Golden Rain Tree, Kalanchoe, Busy Lizzie, Mock Orange) and neighbours on all sides (while excellent neighbours) do not have the time or perhaps the knowledge to deal with weeds. Even so, we allow anomalies to this rule e.g. although we have planted some native grasses we have also transplanted carpet grass (Axonopus fissifolius which comes from tropical America) into areas beyond the house lawns as it is such a cushiony grass for bare feet. Of course it may not spread in dry seasons or handle/survive a return to drought conditions. Similarly we are very attached to the old European olive trees (Olea europaea subsp. europaea NOT Olea europaea L. subsp. cuspidata – both are listed at http://keyserver.lucidcentral.org/weeds/data/03030800-0b07-490a-8d04-0605030c0f01/media/Html/Index.htm) along our riverbank that create wonderful shady spaces and which have served a useful purpose during flood of retaining soil on the riverbank. And we do not always encourage a native plant e.g. 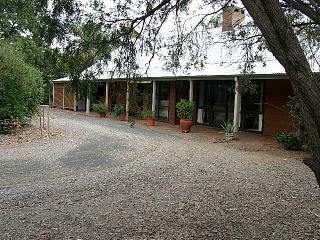 even though bunyas are magnificent native trees -we have several bunyas along a fenceline – we pull out any tiny bunyas we find growing as we do not wish to weed or work around the sharp painful leaves that drop around their bases when they mature. Beginning in 2005 Ian worked to build up native gardens where previously there had only been groups of native trees and shrubs. Over time they have become very attractive to wildlife so while technically they are not labelled as bushland they act as habitat for many native insects, birds and animals. 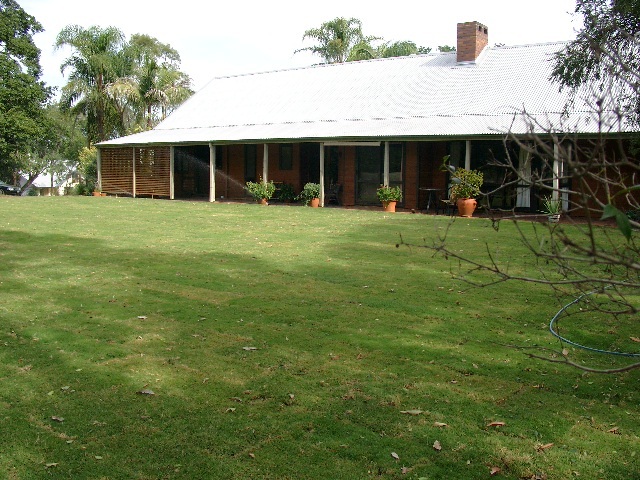 Part of the greening of the house surrounds included the replacement of gravel with grass. 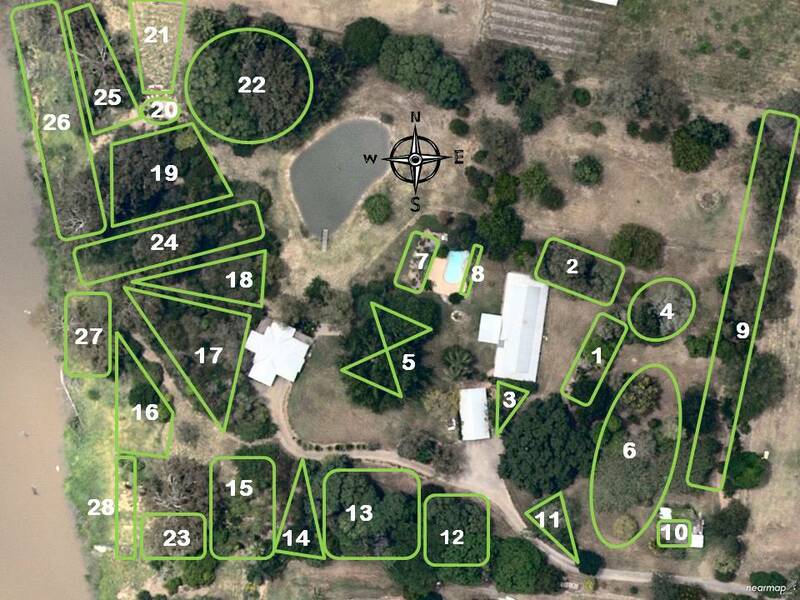 The following image identifies the various gardens (g) or areas which have been established over the years. 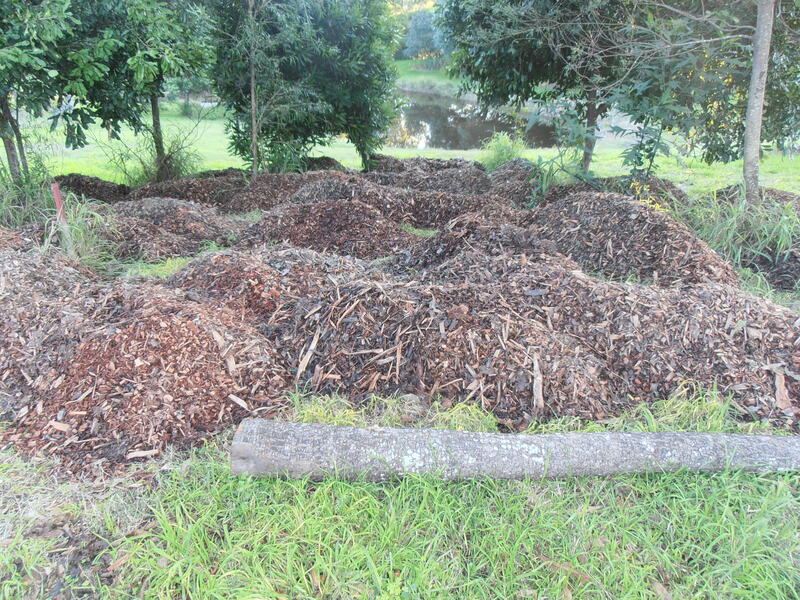 June 2012: Following the removal and processing of Cadaghis in the side paddock, Ian uses some of the mulch to create the ‘macadamia garden’ which fills in the space between several macadamias in the side paddock. He plants several natives there too. We are probably going to refer to the ‘sandy bays’ as the ‘pontoon bays’. 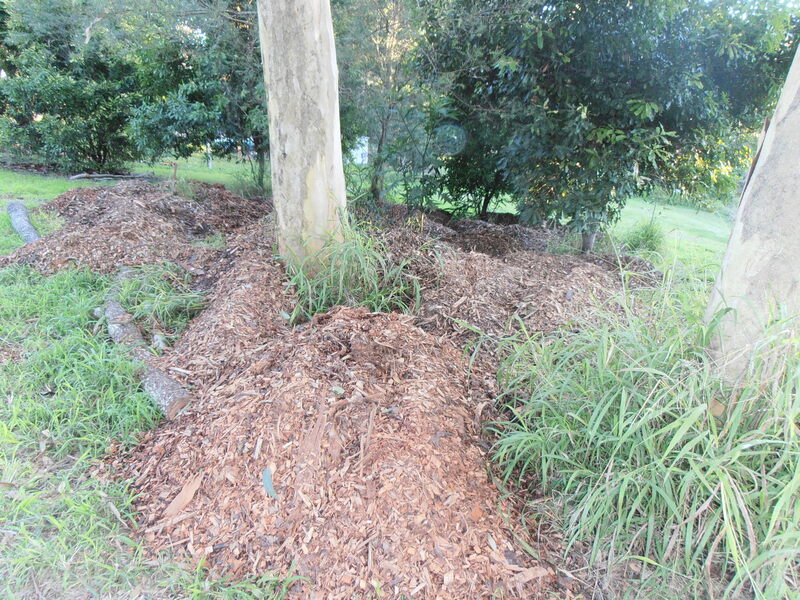 During the winter of 2012 Ian whipper snippers the undergrowth in that area (28 and 16), locates and pulls out or poisons all the glycine vines and plants eucalypts (with extremely tall stakes) – mostly tereticornis and seeana. This follows our visit to Greening Australia at the Gap where we bought Eu. terecticornis, seeana (Fine-leaved/Narrow-leaved Red Gum) & propinqua (Small-fruited Grey Gum), Angophora leiocarpas (Smooth-barked Apples)and Intermedia corymbias (Pink Bloodwoods). We also put a few more gums in the goat gully and 2 of the Angophoras on the northern slope. A special purchase from this nursery is 6 Chain Fruit – Alyxia ruscifolia. This is a shrub with red/orange berries where fireflies like to mate and we hope this will bring the fireflies back around the big Ficus virens. We also plant a Queensland Bottle Tree – Brachychiton rupestris – in the bowl.